Big Chop is proudly Tasmanian. We source premium timber from responsibly harvested Australian species. 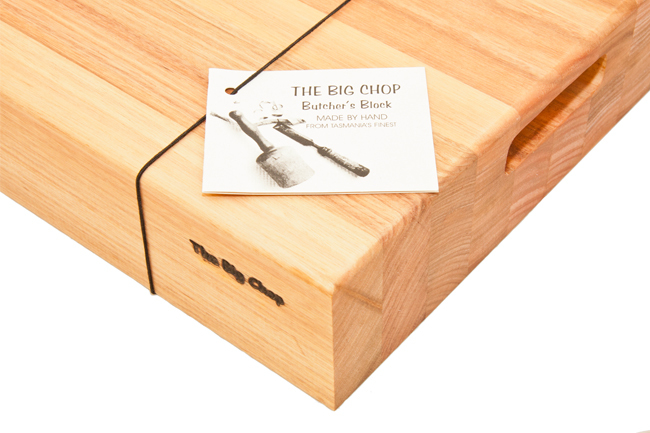 Our skilled artisans use these woods to handcraft superb chopping boards that harness the natural beauty of the woods – no two boards are the same. If you are looking for “block” type of board then look no further! This substantial Tasmanian Oak, (straw to reddish brown) board is designed to be a permanent fixture on a kitchen bench, but could also be fitted to a trolley.